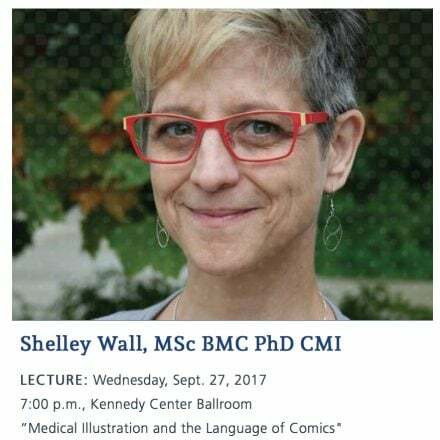 In September, Dr. Shelley Wall gave the opening address of the Hiram College Graphic Medicine series. We are thrilled that Shelly and her hosts at Hiram have been kind enough to share her talk with us, entitled, “Medical Illustration and the Language of Comics: From Medical Graphics to Graphic Medicine.” Support for this podcast comes from Penn State College of Medicine, Department of Humanities, the nation’s oldest Humanities Department within a medical school, pioneers of innovations in medical education since 1967. To learn more about Penn State College of Medicine Department of Humanities, go to www2.med.psu.edu/humanities.